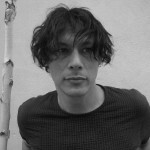 Luke Slater (born 12 June 1968, Reading, England) is an English electronic musician, DJ and record producer, who has concentrated on techno since the beginning of the 1990s. Born in Reading and raised in Horley, Slater’s early sound dalliances with his father’s reel to reel tape recorder and his drumming stints led to work in local record shops, including Jelly Jam in Brighton. By 1988, Slater was immersed in the embryonic acid house scene, DJing in London’s Heaven nightclub. After releasing four albums on Peacefrog, he issued 1997’s Freek Funk and Wireless two years later. His tracks “All Exhale” (2000) and “Nothing At All” (2002) reached #74 and #70 respectively in the UK Singles Chart.His first volume of the mix series Fear and Loathing appeared in 2001, on the React label. Alright on Top (2002) was an “album of songs” with vocals from Ricky Barrows and others featured on every track. The second volume of Fear and Loathing appeared in late 2004.